❶ Making an online flower delivery same day in any corner of Riga. Making an online flower delivery same day in any corner of Riga. Online shop KROKUS offers fast flower delivery online same day to any address in Riga. Did you forget to congratulate closest or relatives on the holiday? No problem! Just go to the website of our studio and make an online order flower delivery, spending only 5-10 minutes. Our courier will bring the bouquet directly to the house of the gifted in perfect condition in 2-3 hours and give your warmest and most sincere wishes. online flower delivery same day from KROKUS will save any holiday. In the modern rhythm of life, we often forget about the solemn events and celebrations of our friends, acquaintances, relatives. At least once each of us faced the situation when the invitation for a birthday, wedding, anniversary, corporate, anniversary of family life, housewarming or another holiday came suddenly and at the most inopportune moment. What to do when there is no time to prepare for the celebration, as well as to find the right gift? The best online flower delivery service will in Riga and all over Latvia. Everyone knows that flowers were and are the optimal and desired gift on any holiday. That's why the online shop KROKUS offers everyone to buy one of the most beautiful flower arrangements in the market that will decorate any celebration, while ordering online flower delivery same day in Riga (Latvia). 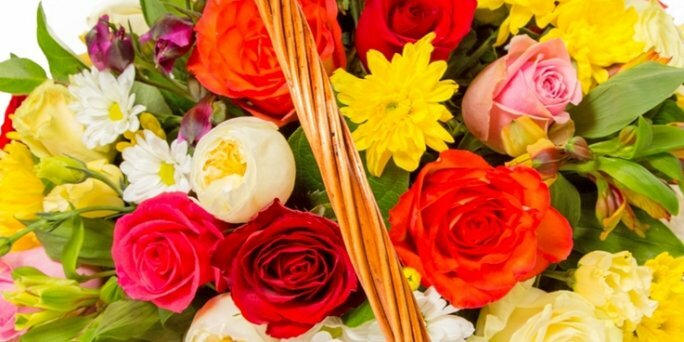 ● urgent delivery of flowers even on a weekend or a holiday. In addition, at the request of the customer, we can provide a photo report on the delivery of the arrangement and even send a photo of the ready bouquet to the customer's email before it is sent. Agree, this choice of delivery options you will not find in any flower shop online delivery in Riga and all over Latvia. How to order online flower delivery in Riga (Latvia)? ● pay for the goods in one convenient way. After that, all the work on creating a spectacular flower arrangement and its presentation to the gifted will be taken over by the specialists of the company KROKUS. If you have difficulty getting an online application, just call the shop manager at the specified phone number and get a free consultation on choosing the bouquet, as well as help with the purchase.